Samsung’s Galaxy S III launch in the U.S. won’t be marred by Apple’s request for a sales injunction of the iPhone competitor, the company said. HTC, which was also hit by an import block request by Apple this week, said its phones are approved for U.S. import, too. The Samsung Galaxy S III is headed to five U.S. carriers this month, with T-Mobile and Sprint beginning sales June 21. But this week Apple asked a court in California for a preliminary injunction against Samsung’s latest Android flagship, claiming it infringes on at least two of its patents. This comes after Apple obtained an S III sold in the U.K., where it launched in late May. Apple also wanted to block imports of HTC phone this week, as it filed an enforcement action at the U.S. International Trade Commission (ITC). 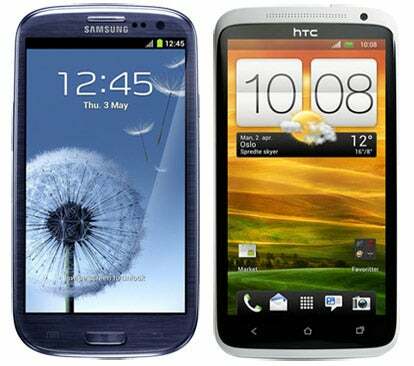 The company was seeking to block imports of HTC’s newest range of Android smartphones because of patent infringements. Apple was successful last month at temporarily blocking HTC imports. Samsung and HTC are having none of it though. The two companies have put out statements saying Apple’s requests are not valid and that their devices are not infringing on patents. “Samsung believes Apple's request is without merit. We will vigorously oppose the request," Samsung said in a statement. "We would also like to assure consumers that the U.S. launch and sales of the Galaxy S III will proceed as planned." ITC issued a limited exclusion order against HTC last December after finding that the company violated some of Apple's patents. Then the customs office halted imports of the HTC One X and Evo 4G LTE last month. HTC now says that it is in the clear: “The U.S. Customs Office has reviewed and approved HTC devices for import into the U.S., as they are in compliance with the ITC's ruling.” Apple however, apparently disputed these claims, saying HTC has not negotiated a license or removed the infringing functionality from the devices, hence its latest suit.